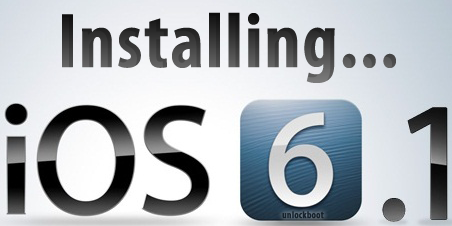 Past few weeks, we saw Apple coming up with its latest software upgrade, iOS 6.0.1 firmware. This was for various iDevices including iPhone 5, 4S, 4, 3GS, iPad and the iPod (touch). For the developers, it had launched the iOS 6.1 Beta 4 version. While the users would have to be content with 6.0.1, developers can take a shot at 6.1 and check out the functionality of its cool features. Apparently not every one can try it since you would need to have a UDID. This is generally associated with your Apple Developer Account. However, there is no need to worry since there is a maneuver from UnlockBoot which can allow you to bypass this issue. We have summarized the steps below; Now you would be able to install it on your iPhone, iPad or iPod touch without needing a developer account. Step 1:Download iOS 6.1 Beta firmware from our download section. Step 2:Get the iTunes 10.7 (latest version). Step 3:Now you would need to initiate iTunes in order to get to the downloaded firmware. Step 4: As per the computer that you have, connect the iDevice to it. Once you have done this, proceed to the restoration task. Now, Hold “Shift” (For PC) or “Option” (for Mac) and click “Restore”. Step 5: After having followed the aforementioned tasks, go for the file that you had already downloaded (iOS 6.1 IPSW). Now the iTunes would complete the restoration task. Step 6: If all the steps that have mentioned above have been performed correctly, an activation screen would appear. After the steps that we have described above have been completed, you can go to the upgrade task. In this scenario, we recommend you CHEAPEST factory unlock options which are performed with the help of your IMEI number. We previously wrote an article about iOS 6.1 / 6.0.1 unlock info and baseband status. The good thing about this unlock is that there is no problem with the upgrades that would follow. Once you have this, no problem would be there when you update to iOS 6.0.2 or other versions. This works really well since your IMEI is listed as factory unlocked in the Apple directory. So the actual beauty is that when the next beta version is launched, you wouldn’t need to have the developer account as we have described earlier. Isn’t that great? Tell us in the comments below.